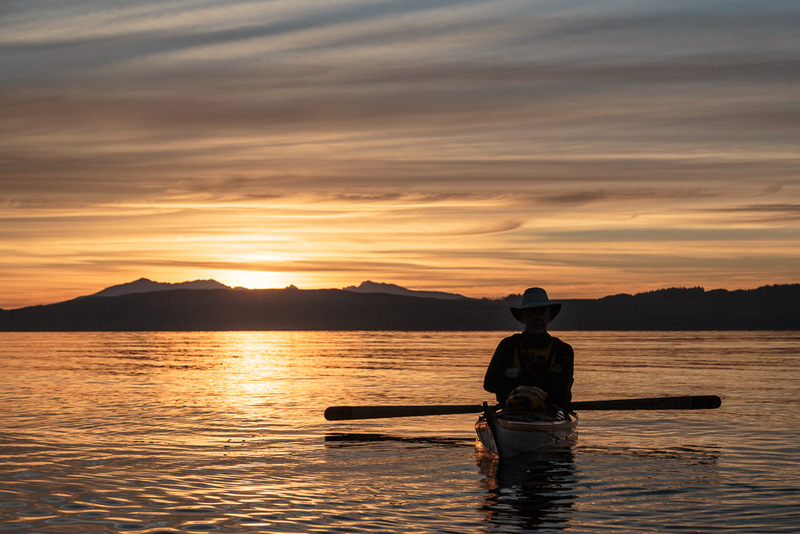 Sea kayaking with seakayakphoto.com: The history of sea kayaking at sunset. 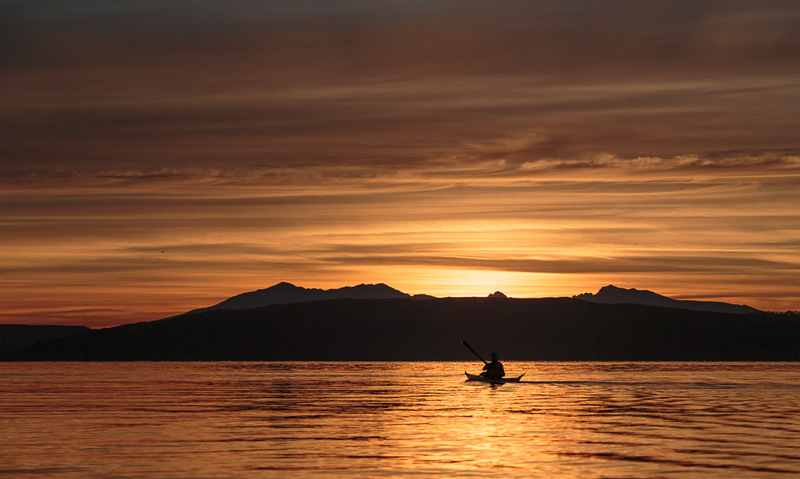 The history of sea kayaking at sunset. 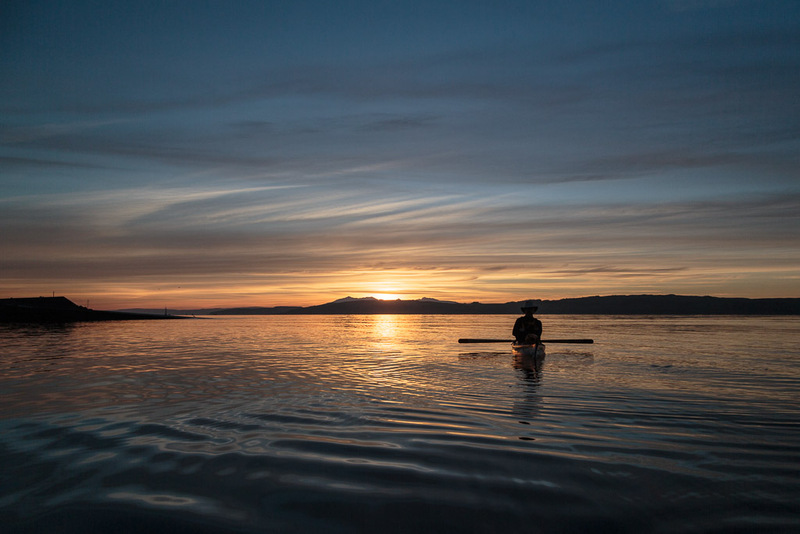 It had been a marvellous day on the water and I thought it was nearly over. 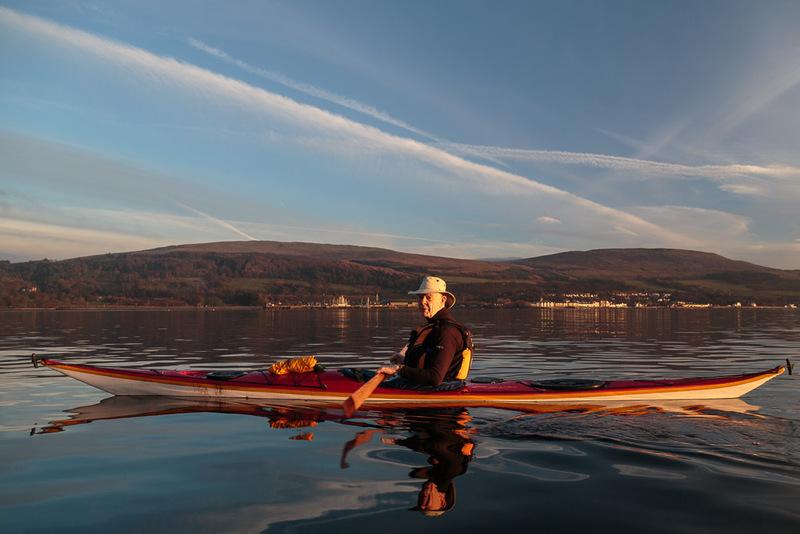 We were heading back to our launch site at Largs when I noticed someone paddling fast in our direction from Fairlie. It turned out to be a long time friend Duncan Winning. 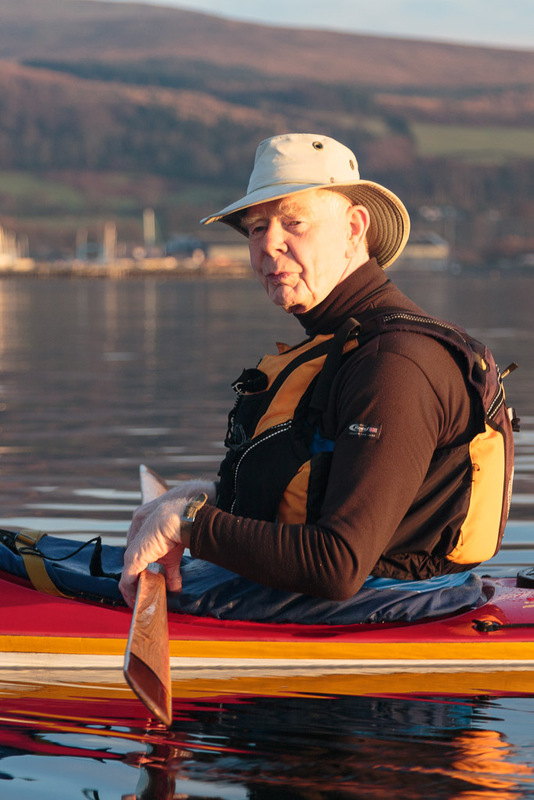 Duncan is one of the worthies of the Scottish sea kayaking scene. It was Duncan who in 1965 made the drawings of the Inuit kayak that Ken Taylor brought back from Illorsuit, Greenland. These drawings formed the basis of the Valley Anas Acuta and influenced the subsequent design of many British style sea kayaks. ...over the Firth of Clyde. All too soon it was time to part our ways and Duncan returned to Fairlie as I continued to Largs.